People use the lumber from elm trees to make many things, including furniture. However, describing the furniture may be slightly difficult unless you understand the qualities of lumbers such as hardwood and softwood and the divisions inside those classifications. Elm wood has historically been used for wheels, coffins and chairs. The terms "hardwood" and "softwood" do not actually refer to the property of the wood itself, but the type of tree from which the wood came. Hardwood comes from deciduous trees that lose their leaves in the fall. Softwood comes from evergreen, coniferous trees. You can differentiate lumber even further once you have established whether it is hardwood or softwood. Inside those divisions, you can classify it yet again into hard hardwood and soft hardwood. This refers to the nature of the lumber. For example, balsa wood, which comes from a hardwood tree, is softer and easier to carve than hickory, which also comes from a hardwood tree. Therefore balsa would be classified as a "soft hardwood" while hickory is classified as a "hard hardwood." Elm trees are a type of deciduous tree. They change color and lose their leaves in the fall making them a hardwood tree. The wood of elm trees is softer than other hardwood trees. 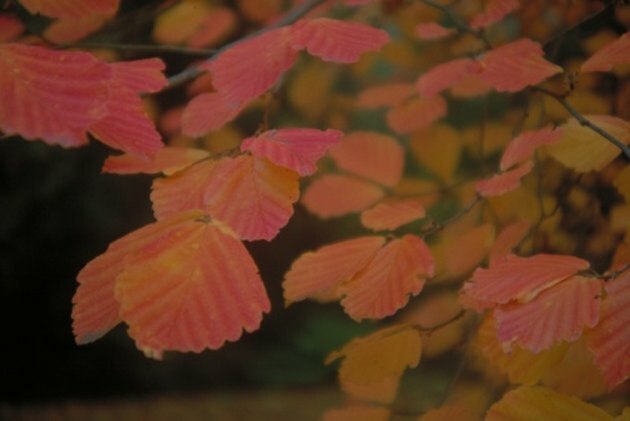 Elm trees are therefore classified as soft hardwoods. Emily Taylor has been writing professionally since 2001. Her work has appeared in "The Observer," the student newspaper for Notre Dame. She works as an instructor in English at Brown Mackie College. Taylor holds a Bachelor of Arts in literature with a minor in professional writing from Saint Mary's College.